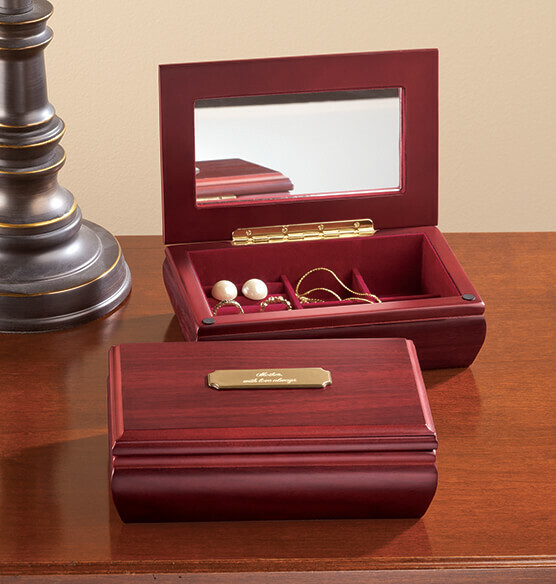 Arrange fine jewelry pieces and accessories inside of this classic style personalized Jewelry Box with Brass Plate. Crafted of Ibiza, this wooden jewelry box has a beautiful rosewood finish that looks great on any dresser or table. 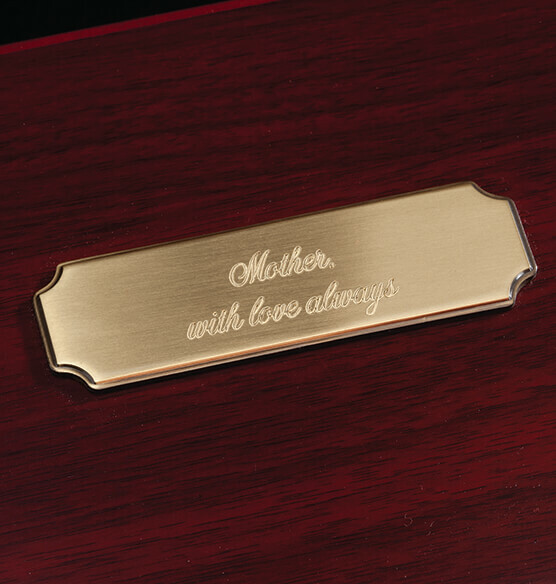 Personalize the brass plate with a name, initials or message. 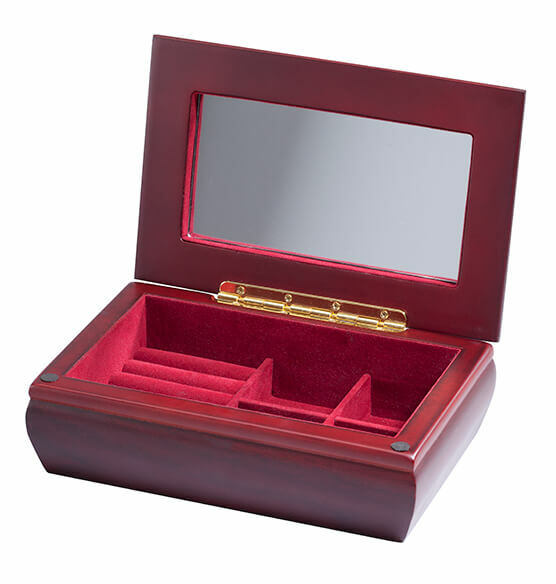 The interior lid features a mirror and lining covers four separate compartments for easy organization. 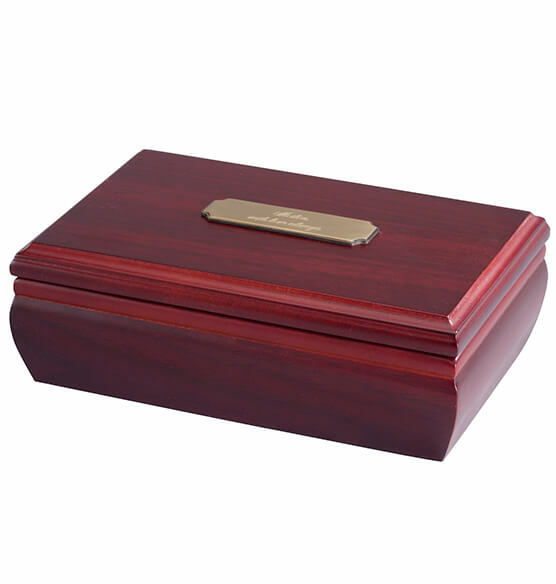 Perfect as a personalized keepsake box for him or her.